The Devourer Cult prepares to open a gate of stars into a dread realm. The heroes journey deeper into the Vast to find the Gate of Twelve Suns, an alien megastructure consisting of a dozen stars arranged in a perfect circle. 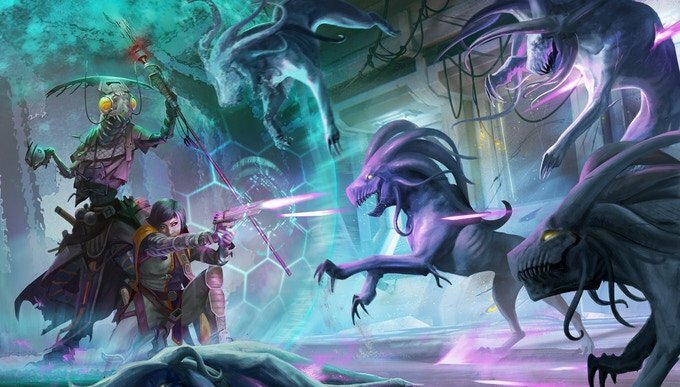 However, members of the Cult of the Devourer precede them, and the heroes must contend with the cultists for control of the alien technology found on the single planet orbiting each sun. Only by defeating these foul marauders can the heroes keep the superweapon hidden here out of the wrong hands—though the destructive zealots are far from the only threats found in the system. 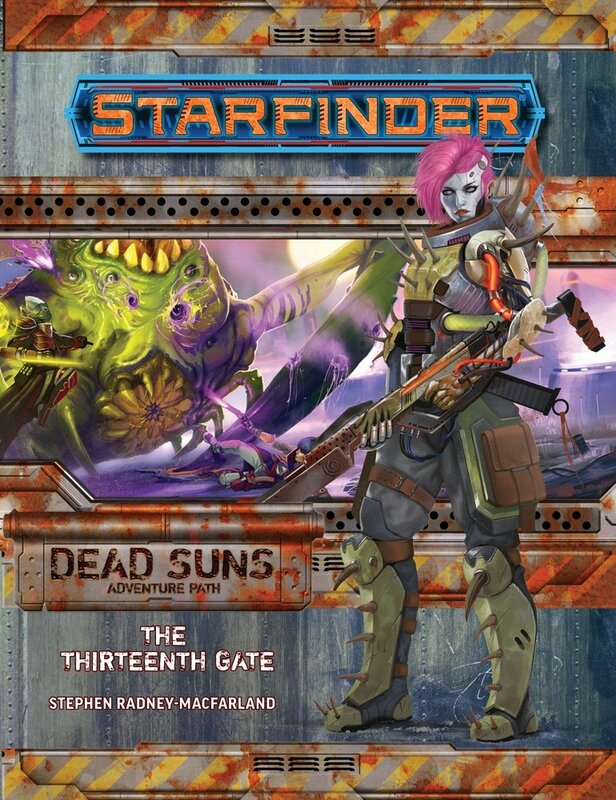 “The Thirteenth Gate,” a Starfinder adventure for 9th-level characters, by Stephen Radney-MacFarland. A collection of technological relics left scattered across the galaxy by the kishalee, members of an ancient advanced alien civilization, by Stephen Radney-MacFarland. Detailed descriptions of the worlds and cultures of five never-before-encountered alien species, by Mikko Kallio, Jason Keeley, Lyz Liddell, Ron Lundeen, and Mark Moreland. An archive of new creatures, from the main inhabitants of the five new alien worlds to an undead manifestation of entropy, by Mikko Kallio, Jason Keeley, Lyz Liddell, Ron Lundeen, Mark Moreland, and Stephen Radney-MacFarland. Statistics and deck plans for a heavily modified starship crewed by Devourer cultists, by Stephen Radney-MacFarland, plus a glimpse of a barren planet cloaked in shadow in the Codex of Worlds, by Owen K.C. Stephens. Megastructures and ancient secrets that span aeons? Where do I sign up?